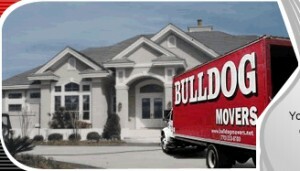 At Bulldog Movers, we pride ourselves on being the moving company that residents of Duluth, Georgia, know they can trust. Our staff works hard to uphold our reputation as an honest mover, one that displays the utmost professionalism and expertise. What makes us different than other movers is that we don’t hire an applicant solely based on how physically adept they are. All of our employees have passed a thorough background check, boast years of industry experience and knowledge, are non-smoking, and maintain an amiable and professional disposition on the job. Also, you can rest assured that our movers are fully trained on the most effective techniques for lifting items that are heavy or awkward to hold, as well as on methods for packing all of your belongings quickly and efficiently. They have the know-how to move specialty items that other movers may not be prepared to handle, such as exotic cars, chandeliers, and fragile antiques. They can also break down and pack complex items for your office or business, such as cubicles, lab equipment and computer systems. Because of the expertise of our staff and the variety of services we offer, Bulldog Movers has received the coveted Consumers’ Choice Award for nine consecutive years, and maintains an A+ rating with the Better Business Bureau. To find out more about our services in the Duluth, GA, area, or to receive a free moving quote, contact the professionals at Bulldog Movers today.